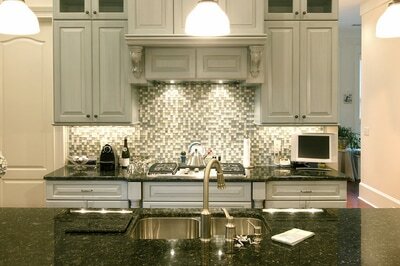 Granite is one of the hardest natural stones available and is extremely difficult to scratch. It is important, however, to be very careful with wedding rings around your countertops – diamond can easily scratch granite. 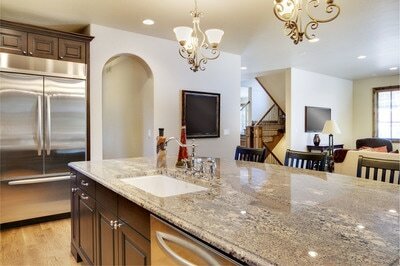 Granite has very little porosity and doesn’t stain easily. 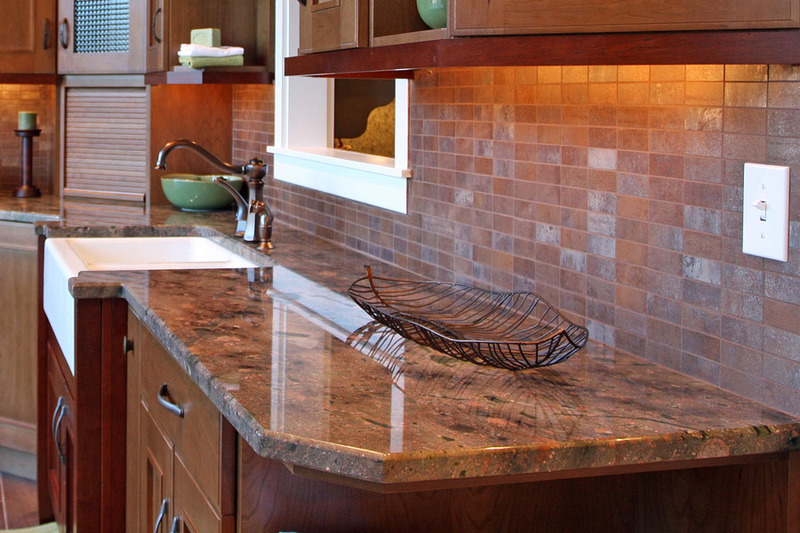 Lighter color granite may absorb some moisture if contact is lengthy and appear darker. If liquids are rapidly removed there is no threat to the stone. Your countertops will be treated with a 15-year professional grade sealer during installation to help prevent staining. Can I cut on the granite? Yes but it will dull your knives in no time! Granite will not chip under normal use, though a heavy object hitting a granite countertop edge could chip out a small piece. Filling the chip easily repairs this type of damage. Seams are made using a seam setter that pulls them together and levels them. We use epoxy to fill in between the seam. We can make seams practically invisible depending on the coloration of the stone. Granites with sweeping color movements will have more visible seams. The stone slabs are usually no larger than 114” x 72” which makes seams inevitable for bigger projects. We carefully select areas of your countertops, where they are least noticeable to the eye. Are there toxic levels of radon in Granite? The industry has identified small number of colors with toxic levels and prohibits the sale of them to fabricators. We offer a Lifetime Labor Warranty on all our work (15-Year Sealer Warranty). Please see our care and maintenance page preserve your countertop's natural beauty.